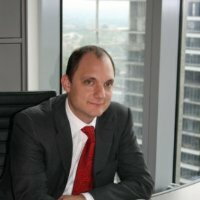 G. Yusuf Sarimsakci founded Alterra in 2009 which became Alto Partners 2013. Prior to Alto, Yusuf held the Managing Director position at a privately held Real Estate Development company Capital Partners in Almaty, Kazakhstan where he was responsible for development, partnership agreements, strategy and operations. During his tenure at Capital Partners both in Almaty and Moscow Yusuf developed projects such as Ritz-Carlton, Metropolis Center, Pushkino Logistics Park in Moscow and Almaty Financial District, Esentai mixed use development, and Chimbulak Ski Resort in Almaty besides planning and finishing many other projects totaling over 1,500,000 square meters. Prior to working at Capital Partners Yusuf worked in Moscow as Deputy General Director of Mosenka, a subsidiary of Enka Holding, where he was responsible for , tenant relations, operations, and finance. At Mosenka Yusuf managed over two hundred lease agreements with many of the top Fortune 500 companies as his tenants. There he developed a deep understanding of how to build a brand, develop customer relationship which last over many year and are beneficial to both sides and respond to changing needs of the customers. Yusuf holds a Master’s degree in Structural Engineering from Stanford University and a Bachelor’s degree in Civil Engineering from Colorado State University where he graduated with honors. Yusuf in fluent in English, Russian and Turkish.